Dedicated to authenticity, beauty, and luxury, Rohl´s entire line of kitchen and bathroom fixtures is hand crafted by skilled artisans from around the world and held to the highest standards of quality and beauty. Focusing on a blend of traditional, transitional, and modern styles, Rohl offers a huge selection of sinks, faucets, and accessories that will appeal equally to lovers of vintage country style, bold, modern design, and those looking for a more timeless style. As an industry leader in luxury kitchenn and bathroom design, Rohl´s collections are as extensive, elegant, and thorough as you might expect. With a full range of styles suited to fit any kitchen or bathroom - whether vintage, contemporary, or modern - it isn´t hard to find something you love. Once you do, Rohl makes it easy to coordinate styles and fixtures throughout your kitchen or bath, and not just between your sink and shower. It´s in the little details that Rohl really stands out, ensuring that you have everything you need to complete your luxury bathroom remodel - from spare shower sprays to matching toothbrush holders. Rohl´s lavatory sink collection is easily one of their most extensive, with a spectacular range of styles and finishes including many breathtaking modern and vintage styles that are sure to be the centerpiece of any bathroom. 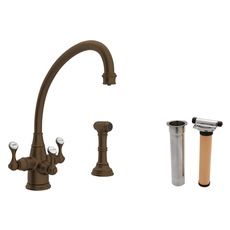 Sized to fit both traditional and vessel sinks, you can easily find a faucet to fit just about any setup. 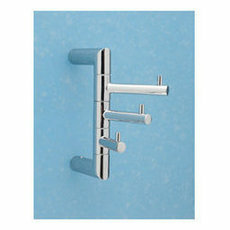 They even have a huge selection of wall mounted faucets, ranging from utterly classic cross handled vintage faucets to fixtures so sleek, minimal, and modern they almost look futuristic. But whether you´re looking for country cottage or cutting edge, this collection has a little something for everyone. If you like the idea of installing a custom shower but aren´t quite sure where to start, Rohl´s prepackaged shower systems come coordinated with all the basics: a rainfall showerhead, a hand shower, two or more shower sprays, and all the controls you need to keep them flowing. 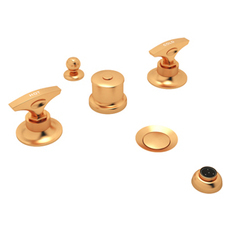 The best part is, since these sets are assembled from Rohl´s existing collections, it´s easy to add on anything the basic packages leave out without having to mix and match styles to get the shower experience you want. Rohl has an expansive line of luxury shower heads, ranging widely in size, style, and functionality. Whether you enjoy a high pressure blast, the delicate drip of a rainfall showerhead, or just a good old fashioned 5 setting massage head, you´re sure to be able to find a shower head in their collection that will provide your dream shower experience. Many of them even come with calcium-resistant nozzles to reduce buildup and make clean up a snap. Shower panels are, essentially, self contained custom showers - sometimes called ski showers because of their unique ski-like shape. These include an integrated rainfall showerhead, hand shower, and 2-3 body sprays - basically everything you´d find in a custom shower without the complicated and costly installation. So if you like the idea of getting a full body spa experience every time you step in the shower, but don´t want to completely rip out and rebuild your existing shower, these make a sleek, elegant, and affordable alternative. 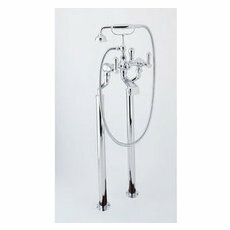 Rohl has an extensive collection of hand showers, designed for use in both showers and freestanding bathtubs. 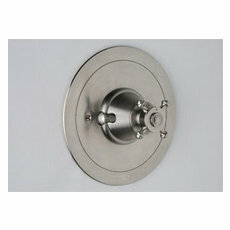 Those intended for in-shower use mount to a bar on the wall, which allows them to be adjusted for height. 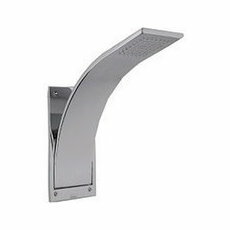 Deck mounted hand showers install directly onto the edge of your tub, which hides their retractable steel hoses. Either way, they add a touch of vintage style, and allow you to more easily wash targeted areas of your body. If you´re looking to install a custom shower, or expand upon a pre-assembled shower system, these body sprays are a perfect add-on. You can purchase them individually or in sets (though usually you want to install them in 2s or 3s), and install them on up to three walls of your shower for the ultimate all-encompassing spa experience. Thermostatic controls are designed for high capacity showers, especially ones that have multiple shower heads. 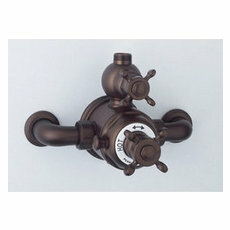 Outwardly, they look more or less like your standard shower volume control (and come in the full range of styles as the rest of Rohl´s bathroom collection), but they come with built in anti-scald technology designed to keep your water at a stable temperature, even if the incoming water pressure changes. Some of them even cut off the water entirely if the hot or cold water pressure drops too low, ensuring that you´ll never get burnt or frozen out of the shower. 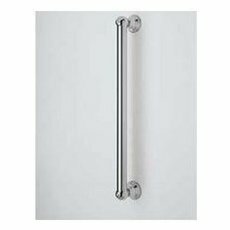 Installing a new shower arm is a fast, easy way to update the look and feel of your shower. By adjusting the shape, length, or angle of your shower arm, you can make up for pluming that´s installed a little too low, or install a rainfall showerhead without having to extensively alter your plumbing. 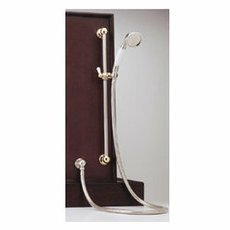 As well, Rohl offers a full line of shower holders which install directly to the wall of your shower. These are designed as hand-held shower mounts, and allow you to easily adjust the height of your showerhead to accommodate all the shower´s users. 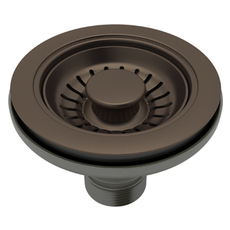 Shower diverters allow you to control the flow of water between multiple showerheads. 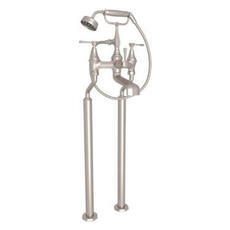 They involve two basic parts: the diverter valve, which has to be installed first and linked to all the showerheads in your system, and then the handle, which can be adjusted to open or restrict the flow to each of the shower heads connected to it. Rohl´s diverters are designed to match the rest of their shower hardware, which makes it easy to coordinate no matter how many you need to complete your shower system. Clawfoot tub fillers are the ultimate in vintage Victorian elegance. Installing either directly into the deck of your tub or, more commonly, into the floor, these are a must for anyone with a clawfoot tub. 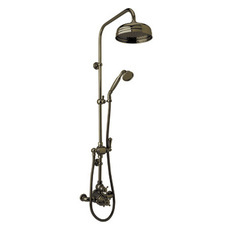 Combining antique style fillers and lever and cross handles with a vintage style hand shower that rests on top of the assembly like an old fashioned telephone, these lend elegance and authenticity to any vintage tub. From the porcelain detailing to the exposed, looping shower hose, these really capture the luxury and decadence of bygone days. 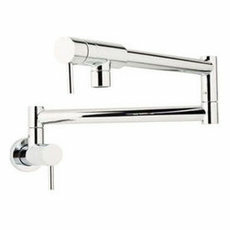 These contemporary, modern, and vintage style tub fillers are essentially much larger versions of many of Rohl´s most popular lavatory faucets. With in the neighborhood of a 20 gallon per minute capacity, these faucets are perfectly equipped to fill even a very large soaking tub in minutes. And because they install directly into the deck of a tub, this setup allows your tub to be completely freestanding, with little or no exposed plumbing (unlike many vintage clawfoot fillers). They even come with hand showers that sit next to the faucet but can be pulled out (a little like a kitchen sprayer) in order to add full shower functionality to a freestanding bath. 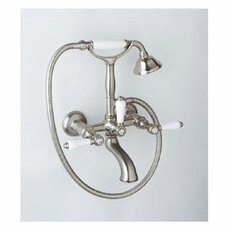 Rohl offers an eclectic selection of standalone tub spouts. 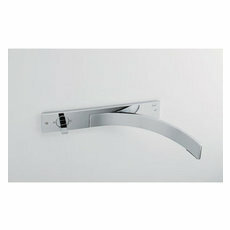 These make a great way to spice up an existing bathtub - you´d be amazed what a big difference a new spout makes! 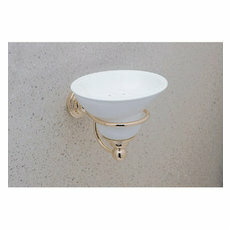 - or upgrade to a higher capacity spout if you happen to be installing a new soaking tub. 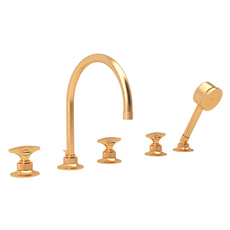 Rohl´s wall mounted tub fillers err on the side of classic - from fillers that mimic Victorian clawfoot tub fillers to American influenced cottage style spigots and cross handles with vintage porcelain inlays. 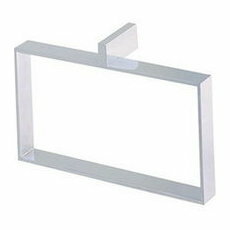 These glass and chrome or nickel shelves are an excellent way to add a little storage space to your bathroom without crowding it. Because they´re largely transparent rather than opaque and bulky, they take up less visual space and maintain the illusion of openness. 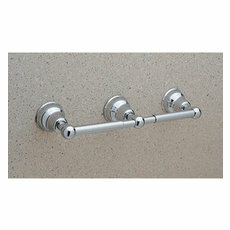 As well, these are designed to coordinate with Rohl´s towel racks - and a few of them even have towel racks built in. Though Rohl´s specialty is more in the realm of faucets than sinks, they do have a handful of beautiful vitreous china and stylish aluminum sinks that are worthy of their gorgeous hardware. Rohl offers a full line of replacement bidet faucets in finishes and styles that match the rest of their bathroom collection, allowing you to update your bidet rather than replacing it as part of a larger remodel. Robe Hooks. 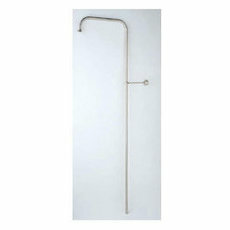 Rohl offers several single, double, and triple hook vintage style robe hooks. Each is available in a variety of finishes, and are designed to coordinate with their wall mounted toothbrush holders and soap dishes. Soap Dishes. Designed as a pair with Rohl´s wall mounted toothbrush holders, these glass and porcelain dishes add a touch of modern flair or Victorian sophistication to your bathroom while keeping your counter clean and uncluttered. These look especially nice bookending a vanity mirror, especially in conjunction with a matching toothbrush holder. Toilet Paper Holders. 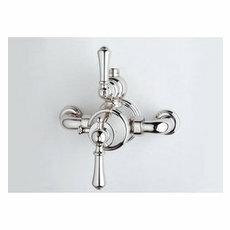 If you always thought toilet paper holders were just toilet paper holders, you´ve never seen Rohl´s. These come in a huge variety of shapes, sizes (yes, sizes - some can hold up to 3 rolls), and finishes, and make a fun, funky, as well as totally useful addition to your bathroom. Toothbrush Holders. If you´re tired of cluttered countertops, these wall mounted toothbrush holders and tumblers are a classic, elegant way to save a little horizontal space while adding a little charm to your decor - and a good way to remind yourself to brush and rinse! 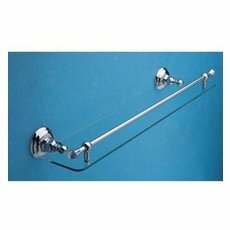 Towel Bars. 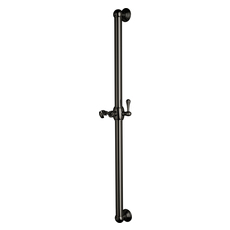 Rohl offers a number of simple, single and double towel bars that correspond with some of their other fixtures in style and finish. 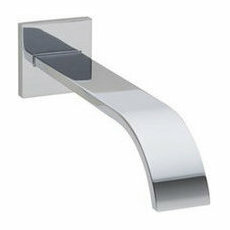 Though they are, ostensibly, just bars, the mounts used on either end can be found throughout Rohl´s bathroom collection. Towel Rings. These simple towel rings come in a wide variety of shapes, styles, and finishes designed to match many of Rohl´s other bathroom lines and keep your accessories well coordinated with your fixtures. Tub Frames and Decks. Installing a freestanding tub is a lot of work - you have to run your plumbing underneath your floor into the middle of the room to keep the pipes hidden but close enough to actually fill the tub. These are the plumbing parts you need to keep things looking neat once the pipes come up out of the floor but before they get to your faucet or drain. If you´re looking to build a custom shower, Rohl has all the hardware you need. From non-standard 3/4 inch volume control valves to octopus-like diverters to help direct your water to all your various showerheads, this collection includes all the stuff you might not know you need, and probably won´t ever see once it´s installed, but that keep the water flowing. 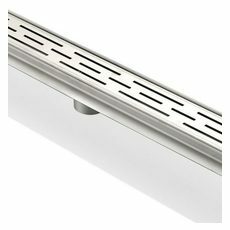 These volume control handles can be used with an individual showerhead or tub spout, in conjunction with both, or as mixers for larger shower systems. Like many of Rohl´s other faucet collections, these are available in a wide variety of styles - including modern, geometric fixtures, vintage cross and lever handles, and sleek, contemporary designs made to match Rohl´s other faucet, shower, and bath collections. Rohl´s kitchen collection covers a lot of ground - from historically inspired sinks and fixtures (most notably their artisan stamped fireclay sinks) to sleek, modern styled fixtures, Rohl has a little bit of everything for just about any taste. And whatever your preference, Rohl offers peerless quality and durability across the board. 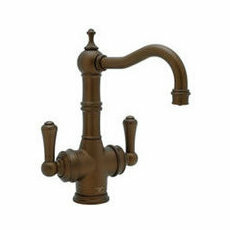 While Rohl´s sink collection overall offers a good mix of modern, contemporary, and vintage styled faucets, their kitchen collection tends more heavily toward the vintage - with stunning French country style hooked spigots and lever handles. 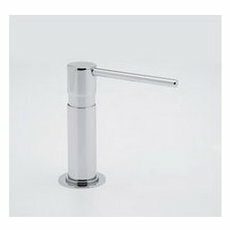 Many of the designs have great subtle touches, like porcelain handles or inlay, and a few smaller bar sized faucets with hinged parts that fold to a more compact size. That said, there are quite a few contemporary styles in this line as well, with a few that stand out for their especially innovative pull-out style spray nozzles. Pot fillers are becoming a ubiquitous kitchen luxury item, but Rohl has a truly impressive variety of styles and designs for a little extra customizability in your kitchen. Rohl´s pot fillers range from single spigots that pour over a fixed point to ones with two to three bends in the arm for maximum flexibility. The longer arms are a little bulkier, but allow you to fill a pot sitting on just about any burner on even the largest stove. They´re also available in both deck and wall mounted versions to make it a little easier to plan your plumbing. The best part? All of the available designs come in a huge variety of styles - from classic country kitchen to contemporary to bold modern chic. 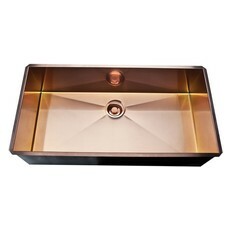 These bar sinks are cute and compact - moreso than most. They come in a wide range of styles, from modern and contemporary to English and French country chic, but across the board they´re designed with space in mind. 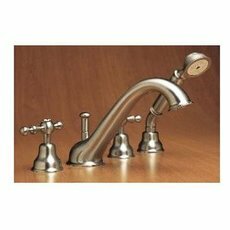 With swivels at several points on each of the faucets, they can fold down to take up almost no size at all when not in use. Many of them even have handles built right into the stem so your sink only needs one hole. 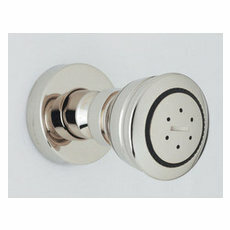 They also come with a few great custom touches, like porcelain handles and a few compact pull-out spray nozzles. Rohl´s fireclay single bowl sinks are made of clay covered in a thick, stain and chip resistant glaze and are built to stand up to a lot of tough love. 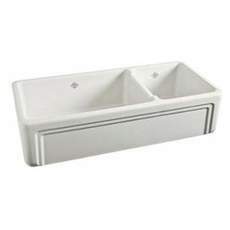 Many of their sinks are big, beautiful country style apron sinks with thick walls and a very deep bowl. Great for people who spend a lot of time working in the kitchen. 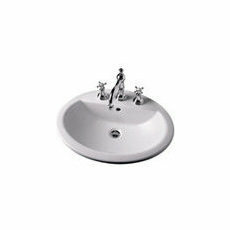 Made of solid, durable fireclay across the board, Rohl´s double bowl sinks are built to last. Their apron style sinks are even hand poured, shaped, and stamped by the individual artisans that created them - a nod to the sink´s invention by Shaws of Darwen in 1897. Perfect for a kitchen that sees a hefty amount of food prep in or around the sink. Rohl´s fireclay bar sinks are compact and durable, resistant to scratches, chips, abrasion, and thermal shock, all of which can be nice to have once you´ve mixed a few drinks! These white vinyl coated metal grids sit in the bottom of your sink, designed to fit the space (and the drain) perfectly. This keeps line-leaving pots and pans off the bottom of your sink, and protects the sink finish from knives, staining peels, or unfortunate falling objects. It´s a little thing to do, but adds a lot of durability. 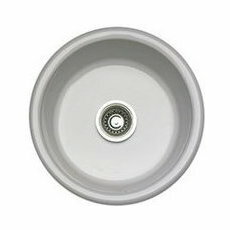 Just in case you misplace your sink strainer, Rohl offers replacement sink strainers and plugs, and even full drain assemblies. Rohl´s solid maple cutting boards are designed to fit directly onto the rims of their various sinks, adding a little extra work space and making it easy to dump your scraps - and cleanup is a snap. 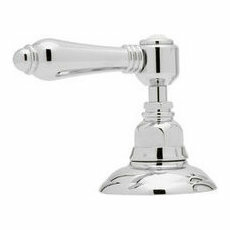 Rohl offers a variety of different soap dispensers designed to match the styles and finishes of their most popular kitchen faucets. Available in three different installation types: deck mount, wall mount, or freestanding, you aren´t out of luck if you don´t include them in your original plans. 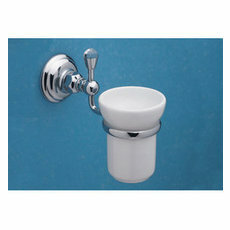 Deck mount soap dispensers require a hole to be drilled either in your sink or your countertop (so the soap container can stay hidden below your counter, while attaching to the dispenser resting neatly on top of it), but wall mount ones can be installed with much less hassle, and the freestanding ones are really just fancy soap bottles made out of the same materials as the faucets. These white, vinyl coated utility baskets are a great way to keep your counter space tidy, especially if you do a lot of hand washing. Just set one in the bottom of your sink, wash your dishes in the other side, rack ´em up and let them air dry. It´ll keep your counters clean, dry, and uncluttered, and because the baskets are sized to fit Rohl´s sinks, they won´t slip, slide, or scratch, and if you don´t like the look, you can stow them when you aren´t using them.